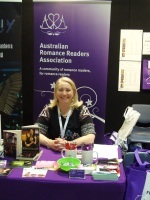 The first Book Expo Australia was held in Sydney on 30–31 August. 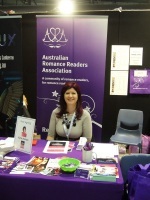 When we first heard about Book Expo it sounded like it might be a good opportunity to reach more romance readers. Of course with it being an inaugural event we had no idea how it would go, but as the cost was fairly minimal we thought we would give it a try. In the lead up to the event we put the call out to authors who might be interested in visiting the table to meet readers and sell/sign books. We ended up with about 10 authors and we set up a roster where they each had an hour on the table. We also got busy planning swag. We designed and ordered our ‘I Read Romance’ bags, along with pens and matching button badges. The Expo was held at the Sydney Showground, and finding the building was fairly easy but working out where we needed to be inside that building proved a little harder. With some help from a friendly volunteer we found our spot and started bringing in our boxes and boxes of stuff. 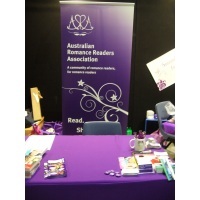 Once we had finished set up we were pretty proud of the ARRA stand. An early night on Friday was followed by an early morning on Saturday to get back to the exhibition hall for the 9 am opening. Attendance at the expo was much lower than had been anticipated, which I think was perhaps disappointing for the authors there. Despite that, in terms of promoting ARRA the weekend was a success. We certainly had more readers stop by for a chat than we had experienced at past events. There were nearly 80 entries in our raffle to win a prize bags of books. A couple of people filled in a membership form on the spot, and many others took a form away with them. The people who were obviously romance readers were very easy to spot. 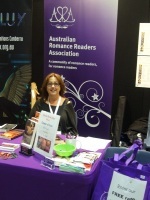 They were the ones who were excited when they saw our name and happily picked up an ‘I Read Romance’ button to wear. 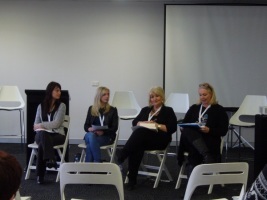 On Saturday our stand featured Kaz Delaney, Shannon Curtis (1), Maggie Nash and Donna Gallagher (2). On Sunday we were joined at the stand by Kylie Asmus (3), Alyssa J Montgomery, Cathryn Hein (4) and Rhian Cahill. In addition to all the exhibition stands, the expo featured (among other things) author panels. 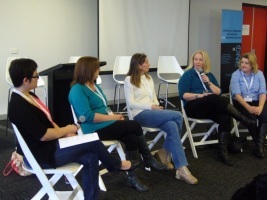 We again owe a huge thanks to our wonderful Sydney ladies (Helen, Barbara, Laine and Lyn) who came along on both days, chatting to readers, handing out raffle tickets and attending all the panels. Thank you also to all the authors who came along to take part. We hope that you enjoyed the weekend. 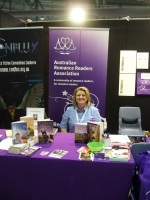 Hopefully Book Expo will be bigger and better next year, and ARRA will be able to have a stand again. I learnt about this too late to attend. Boo hoo. Hopefully next year. Well done, ARRA, on a splendid booth! 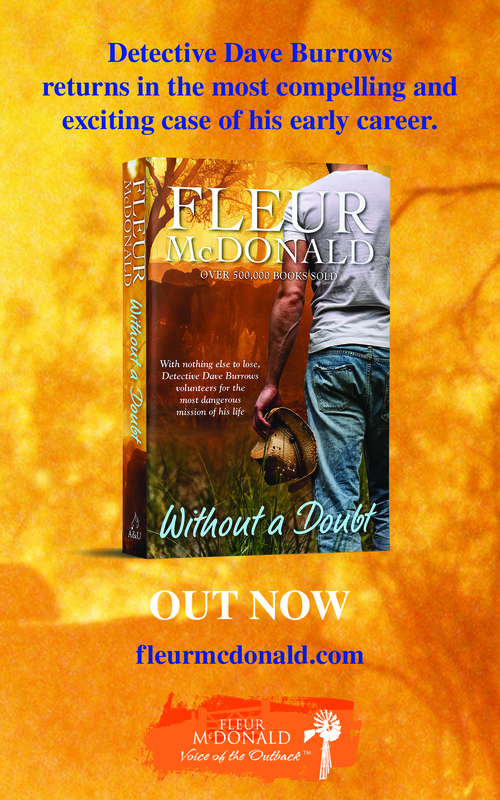 You do us romance readers proud. If I had known it was on I would have gone. Maybe next year!